The business sells designs and installs custom cabinets, doors, windows and hardware and is the only facility of its kind in the Gulf Coast region. The business has a very notable list of major brand names and all at prices that are well below the big box competition due to the special buying group that they belong to, still with very good margins. Once you come in the front door you will see that you are in the right place for a great selection of custom building materials. The leased real estate consists of two connected buildings; the stunning showroom of 5,775 SF and the warehouse of 11,250 SF with a fork lift and delivery truck. The buildings are only 9 years old. All of this is on 2.6 acres. The location is next to a major 540 acre recreational development that will only increase the visibility of the business. Sales have increased every year for the last three years and 2018 is going to be a banner year. Sales have increased every year for the last three years and 2018 cash flow is already at $260,000 for 6 months. It looks like the business will go over $1,500,000 in total revenue. 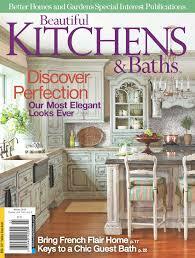 Kitchens: Cabinets, Appliances, Faucets, Cabinetry Hardware and Knobs, Cupboards and Kitchen Sinks. Bathrooms: Bathroom Furniture, Shower Doors, Bath Tubs, Tub and Shower Enclosures, Custom Cabinets. Windows: Hurricane Impact Glass Windows, Vinyl Windows, Vinyl Replacement Windows. Doors: Interior and Exterior Doors both stock and custom, Door Handles and Locks. Architectural: Molding, Millwork, Columns and all stair components, Rails, Balusters, Stair Treads, Newel Posts. Favorable seller financing and good lease terms are available to a qualified buyer with acceptable down payment.